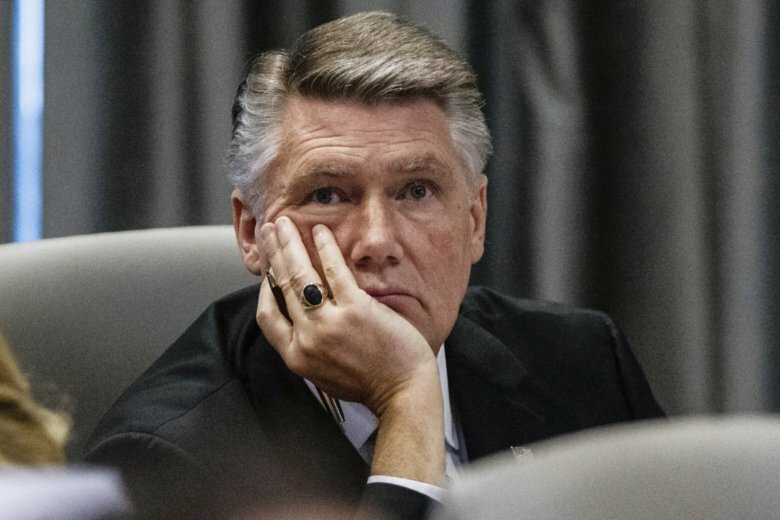 RALEIGH, N.C. (AP) — The investigation into ballot fraud allegations in the nation’s last undecided congressional race involves a mix of characters, including a nationally known election lawyer and a local political operative suspected of illegal practices. After Republican Mark Harris appeared to have eked out a victory over Democrat Dan McCready last November in a mostly rural North Carolina district, rumors began to swirl about ballot irregularities in Bladen County. The state election board refused to certify the results and began investigating. The probe has produced evidence of falsified signatures, blank ballots that were filled out by political consultants, and disappearing documents, according to testimony this week. The board is holding hearings that could result in a new election being called or Harris being certified as the winner. No matter the outcome, the House and its new Democratic leaders could weigh in. Vote-getting methods by longtime Bladen County political operative Leslie McCrae Dowless Jr. are at the center of the investigation. He was recruited by Harris for the 2018 election because he was known to produce results, the candidate has said. But workers hired by Dowless testified that they were paid to persuade voters to hand over their absentee ballots. One worker said she gave incomplete ballots to Dowless and sometimes filled in local races. Dowless, who did prison time in the 1990s for fraud, declined a chance to give his side of the story this week when his attorneys refused to put him on the stand without legal protection against prosecution. Even before the ballot fraud allegations became public, Harris had already turned the national spotlight on the race by unseating three-term Rep. Robert Pittenger in the GOP primary. It became an even more closely watched contest as Democrats sought control of the House. Harris, an ex-pastor in Charlotte and former president of the Baptist State Convention, narrowly lost to Pittenger in 2016 and also lost a 2014 bid for the U.S. Senate nomination. He helped rally voters to approve a 2012 state constitutional amendment to ban gay marriage. Andy Yates, a political consultant and founder of Red Dome Group, served as a top strategist for Harris and the conduit for paying Dowless. State investigators say Dowless received more than $80,000 in 2018 for his general election work. Yates testified that the money that went to Dowless was used to pay workers for such activities as staffing events and placing yard signs. He said that Dowless told him his workers knew election laws surrounding absentee ballots, including a law that says only voters or their family members can mail such ballots in. At the state hearing, the McCready campaign is represented by Elias. The lawyer is nationally known for representing Democrats in high-profile cases. His clients have included former Florida Sen. Bill Nelson during a recount of the 2018 election and Hillary Clinton’s campaign.